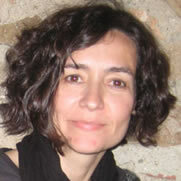 My name is Delia Curiel, I live in Madrid (Spain) and I work as a freelance backend programmer since 2005. Throughout my professional life I have used different technologies, but right now I'm focused on PHP programming using development framework laravel. Application to visualize all types of entity ownership structures, including companies and trusts. Allow running electronic verification on beneficial owners along with PEP and sanction screening. PHP Laravel 5.5, Eloquent ORM, MySQL. Dynamic Online Wellness Platform. PHP Laravel 5.3, Eloquent ORM, MySQL, Paypal, Stripe. Subscription and mailing system. PHP Laravel 5.5, Eloquent ORM, MySQL. International Directory of Vineyards and Wineries. PHP Laravel 5.3, Eloquent ORM, MySQL. Collaboration in the development of the Media Interactiva intranet. PHP Laravel 5.5, OAuth2 authentication, Eloquent ORM, MySQL. Collaboration in the development of a travel planning application (programming API application). PHP Laravel 4.2, Eloquent ORM, MySQL. Pet services platform offered by individuals. PHP Laravel 4.2, Eloquent ORM, MySQL, Paypal gateway. Social network to facilitate the purchase of cars to user groups . PHP CodeIgniter framework, Doctrine 1.2 ORM, MySQL. Social network to facilitate the purchase of motorcycles to user groups. PHP CodeIgniter framework, Doctrine 2 ORM, MySQL. Web for the project "Strengthening Employment Policies and Economic Reactivation Gender" promoted by the Ministry of Equality. PHP CodeIgniter framework, MySQL. Nomads, photography social network for ABC newspaper. PHP Akelos framework, MySQL. Extranet qIntegra. PHP Akelos framework, MySQL. On-line Tracking System PECI (Strategic Plan for Citizenship and Integration, Ministry of Labour) . PHP Akelos framework, Oracle 10g. Building Inclusion Project website. PHP Akelos framework, MySQL. School website for "Viajes Marsans". JSP, Struts, iBatis, Oracle 10g. Employment website for "Viajes Marsans" . JSP, Struts, iBatis, Oracle 10g. 2019 Delia Curiel. Freelance Web Development. Web Programmer.